The following article is no longer published online. It was written by a person named Michael many years ago. I found it and reproduced it here. The question is: what exactly constitutes idolatry? But is carving an image the only form of idolatry? In most Christian Bibles I’ve seen this portion referred to such things as “The warning against idolatry.” Thus, both Jews and Christians can agree that this is idolatry. So, we see that worshiping the sun or the moon is idolatry, and worshiping anything other than G-d is idolatry. Why is it idolatry, though? It is idolatry because it’s physical. G-d is not a physical entity. He is not a man. The Torah lays this out in very clear, concise language. Jesus was a man. Jesus told us he was the Son of Man. G-d said flat out that He was NOT a man, and that He was NOT the son of man. This is not a difficult concept. When the Egyptians prayed the Pharaoh, they committed idolatry. When the Romans worshiped Caesar, the committed idolatry. Idolatry, in essence, is the worship of the physical. Go outside and look straight at the sun. Can’t do it, you say? If you can’t stare directly into but a small example of G-d’s power, what makes one think he can see the Creator Himself? As I’ve said before in related essays, Moses was the greatest prophet of all time, as stated by the words of Deuteronomy 34:10. Moses desired total knowledge of G-d, but G-d told him that his request was impossible. Since we know that G-d is not a man, it’s obvious that when G-d uses anthropomorphic speech, it is not to be taken literally, especially since the end of the Torah says that Moses saw G-d “face to face.” Here it says that’s impossible. In the above passage, it’s to let us know that we cannot visually comprehend or “see” G-d. Any word usage we find in the Bible to that effect is purely metaphorical. These are not difficult concepts to grasp. If G-d were to appear in physical form, how would you know it? No procedure for such recognition is found in the Torah. If G-d were to do it once, what’s to stop any layman from producing a miracle and then claiming godhood? Take note with this passage of why G-d tells us not to seek out these types of people or powers. He doesn’t say that they are nonsense and not to be believed. We’re not to seek them out because they’re not holy. There are all kinds of evil powers out there. The Torah forbids them because they are unholy. What then, did Jesus do that proves he’s the Almighty? He raised someone from the dead? Elijah and Elisha both did that. Praying to Elijah and Elisha would also be idolatry. If someone comes along, shows you a sign or wonder, then he might be a prophet, and you should follow him. If he teaches something that goes against the grain of what Moses taught, then he’s a false prophet, and he should not be feared. But there’s no reason, no logic, no justification that can allow someone to pray to a man [or worship him or her]. 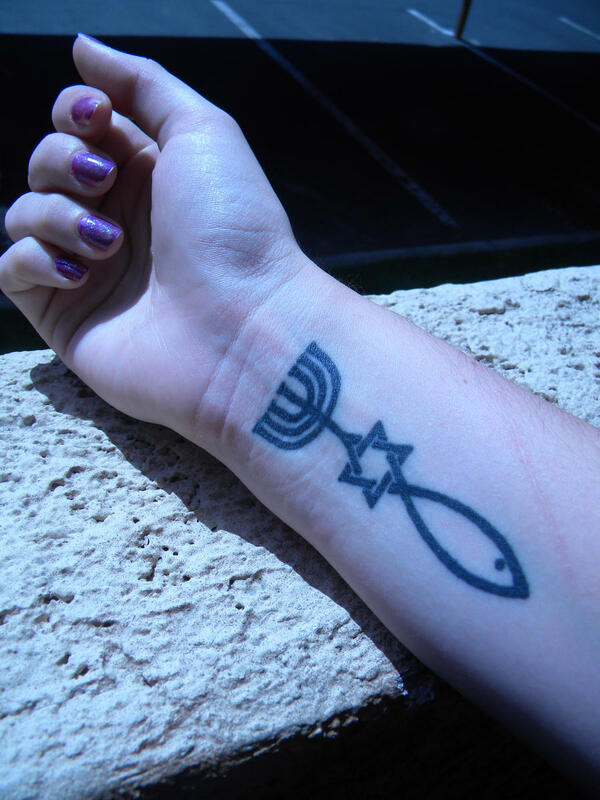 ← Why is Judaism “truth” to me? This writer’s argument is essentially the same used by Muslims— it s an old, flawed objection and rebuttals can be found on Messianic websites. First, Numbers 23:19 says G-d is not a man who sins and needs repentance– I agree! Second, the text does NOT prevent the possibility that G-d can take on a body of flesh– He would still remain G-d who decided to tabernacle Himself within a human body. Third, L-rd Yeshua tells us plainly that the title “Son of Man” is in accordance with Daniel 7:13 [see references in Mark 13:26 or Mark 14:26 or Matthew 26:64]. What??? What do Muslims have to do with this? Long before they were any Muslims around, Jews rejected idolatrous Christian claims regarding their man-worship. It certainly does, because G-d doesn’t contradict Himself, regardless of what He is actually capable off in theory. Yes, which is clearly not a deity that you claim. Also, the writers of the NT were clueless of the way Aramaic in Daniel uses “son of man” – it’s not any kind of title, especially a messianic title (G-d addresses “human” prophets with this very same “title”), but simply means a “human being” – which is what Jesus was and remains, nothing more. Yes Gene, Jesus is 100% god and 100% man. That mean, he is infinite and finite, immortal and mortal, he does not change and changes, he is all powerful and frail, knows all and does not know everything all in the same time. In the same time, G-d who does not change (because He is perfect and you cannot add to perfection) decided to go and take a human body and change from embryo to baby, then to baby to toddler, then toddler to child, child to adolescent, adolescent to adult and then he died. Dead to resurrected without changing. What’s so hard for you to believe? It makes total sense, do you have scales in the eyes? Ahh, and I forgot, all to appease the furry of his angry father, because Jesus loves you Gene. You know. god so loved the world that he sent his only begotten third, that whoever believes in that third (second person of himslef *who is also the father, and does not change also and agree all the time with the father but sometimes does not agree) would not perish by the wrath of the first third (because he hates you because you were born with an original sin) but have everlasting life. Remi, you’re limiting G-d. Can you prove 100% that He didn’t come as a man Jesus? Or that He won’t come as something else in the future? Remi, can you prove that I am not G-d, but with limited powers because I am in the flesh? What, you can’t? I thought so! What Gene! I am not limiting G-d. If you accept Jesus, your scales will fall off your eyes and will see that all I said is the logical and true explanation. Jesus was 100% man and 100% god and always did is 110%! You could be god also, “blessed are those who believe without seeing”! Can’t prove you are wrong! Better go with the bandwagon! Kavi you have a clear problem with the Torah. Bringing up the Muslims is just a distraction. FYI JC is mentioned in their text the Quran 11 times. Deuteronomy 4 tells you NOT to worship the ” whole host of heaven,” ie the entourage of G-d. That would include any captain of the HOST of G-d, any angel of G-d, any sons or daughters of G-d, etc.. Would you accept someone who claims worship of Asherah as a wife or mother of G-d and 4th person? What about baal as another son of El? No? Once you allow the service of G-d in one form, you would limit G-d by saying he couldn’t take on other forms. Can G-d take the form of fire? clouds? trees? animals? Even your own NT makes clear that worshiping a form is bad. In revelation 13 an anti messiah claims he is G-d and does lying miracles. So, the lesson is, don’t make exceptions. Don’t don’t place your faith or trust in miracles and in people who claim to be divine. You would say (as a Christian) that it would be idolatry to worship anyone outside the trinity. You don’t realize that you are making an exception for Jesus which the Torah doesn’t allow for anyone, even G-d’s own host of servants. G-d in Deuteronomy 4 is clearly saying “do not worship sun, moon, stars, or any of my HOST, ie the ones I send.” It would be a sin to pray to the 1st messiah David, or to Moses, or Saul, or to Aaron, or the prince of Tyre, so it is likewise a sin to worship Jesus, EVEN IF THEY ALL WORKED FOR HASHEM. For example, would you worship Cyrus the great because he did G-d’s will in building the second temple? Jesus compared himself to the brass serpent. (FYI this brass serpent object had to be DESTROYED precisely because Israel worshiped it, EVEN THOUGH G-D HAD INITIALLY COMMANDED IT TO BE BUILT AND GAZED AT IT BECAME AN IDOL and caused corruption.) G-d says ” beware make no form lest you corrupt yourselves.” Using Images and serving any powers (G-d’s servants) under the father’s command still breeds corruption. Look at The Catholic Church? They idolize Mary, the saints, etc. and they reconcile their devotions exactly the way you do because they say “hey they all work for Jesus, so its OK right?” WRONG! The Covenant is only between the father and Israel. Israel has to pray to the father only. Its crystal clear. remi4321, Where does GOD say that he is also Jesus? Shanah, Remi was being sarcastic. CR, very good and clear explanation. You may be right strictly speaking Kavi, HOWEVER how would you be sure to know that Jesus was the only one whom G-d chose to indwell or tabernacle? The Torah, and even your own book of revelation chapter 13 explains how flawed the notion of focusing on an incarnate god and miracle is. If G-d can take on the flesh of one man, he can take on the flesh of a woman, he could imbue the soul of any righteous man that can be said to be from G-d. Christians tend to think that Jews are picking on them uniquely, when the fact is that Judaism has had its far share of superman messiahs, and all these were rejected on the same Torah grounds. Those in the Franksist movement that viewed Eva frank as a personification of the Shekinah were regarded as heretics, the few chabadniks who worship the Rebbe are called heretics, and any Christians who worshiped some anti-Christ would be seen as heretics. Do you see how the Torah has a clear problem with incarnation? 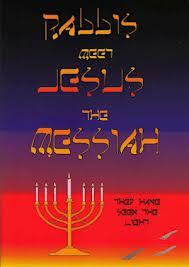 No other figure in history fulfilled as many Messianic Texts in the Tanach as Yeshua of Nazarit. This is based on what we have of a written record as passed down in various letters, and personal accounts that later became tradition, but they are overwhelming! No one else has been able to satisfy the scriptural requirements for Messiah–Yeshua did, and he was lifted up and pierced for it just as the scripture that you’re denying said He would be. Daniel is more important in this debate than Isaiah, because it gives the specific time frame that these events would take place–Bar Kochvah certaily didn’t fit the time frame when Rabbi Akiva declared him Messiah. Michael… Jesus fulfilled exactly ZERO prophecies of the Bible. 7) Could fit so many people, it’s really irrelevant. Do you still sin? Did you ever check if the time really fit Jesus? For one thing, if it would have been so overwhelming, the NT writer would have quote it! Maybe they knew the dates did not fit! That’s the only one he fulfilled! And being a man also helps:) So, two down…. Okay Gene, and Remi, you give me a historical figure that has more Tradition supporting his fulfillment of time specific prophesies? You can’t do it; historically there is no one that even comes close from world history. I can give you a long list of people the Rabbis declared were Messiah that failed miserably that anyone can research on the internet. That’s because Messiah is not here yet, Michael! Jesus has failed, just like all the other false and wannabe messiahs have failed! Once the true Messiah comes, we won’t have to guess if he’s the one or if some dead guy was one or go around the world trying to convince others about it – it will be apparent to everyone. But the far bigger issue here is not even a messiah – it’s the fact that Christianity propped up a human being as “god” and worships a dead man as if he were the Almighty. That’s far more important than any would be messiah – it’s a sin of idolatry, there’s no other name for this. Hi Michael, the messiah has not come yet, nobody came close to be the messiah, not even Jesus. Okay Gene, I can understand your concern at worshiping a “dead man” as God, I praise Him as the Son (King given Dominion and Glory by His Father) who was ressurected on the Third Day. I also do not confuse the Father with the Son, because the Father could not die. If G-d in total had died on the cross, creation would have ceased to exist. G-d cannot die! I think there are a couple tenets here that we can agree on! Michael, in the Hebrew Bible, there’s only One G-d, He doesn’t have a physical form (and warns about it), there are no ‘three persons on one” of G-d, there’s no “Father” AND “Son” anywhere in the Bible, because apart from the Jewish people whom G-d calls “my firstborn son”, G-d doesn’t have another “firstborn Son”. These are idolatrous notions. Only to those who are ignorant of Hebrew. Our Gods is one? Addressing a singular person as plural is a sign of honor. For example to request permission from a king or high authority, you may say “birshuthkhem”, the suffix -khem is plural, it means “with your permission”. In Arabic, which is largely derived from Hebrew and Aramaic, it is “bakhattirkum”, “with your (pl) permission” (-kum in Arabic = -khem in Hebrew), and people actually use this when they’re talking to someone they show respect to. That’s Semitic culture. I brought Arabic into this, since you don’t trust Jews who speak Hebrew, because that would make too much sense, perhaps you’ll trust a Jew who speaks a little bit of Arabic. A better example than what I gave above is “shalom `aleikhem (שלום עליכם)”, meaning “peace be upon you (plural)”, but you say it to a singular person, addressing them as plural people to show respect. Try walking up to your friendly (or not so friendly) local Arabic speaking Muslim and say “salaam `aleikum” which also means “peace be upon you (plural)” in Arabic. It won’t be weird to him that you addressed him as plural. In fact, as the Jew replies “`aleikhem hashalom”, “upon you (plural) [be] the peace”, the Arabic speaker will reply the same way: “`aleikum asalaam”, “upon you (plural) [be] the peace”, since he is showing you respect in return by addressing you as a plural entity. The idea of the singular entity being addressed as plural is because of considering that singular entity as powerful or great as many. That’s the respect being shown. HaShem is One, yet he fulfills the tasks that all the pagans and idolaters (including believers in Yeshu) ascribe to all of their Gods. Just like idolatrous Christians and Messianics think that you cannot be saved without Yeshu, we acknowledge as Jews that we cannot be saved without HaShem. HaShem is the only one who has control over everything and is able to save, help, heal a person or to destroy, topple, or afflict a person. Why not? There are 490 years in Daniel that conclude with Titus’ destruction of Jerusalem in 70 CE. Jesus died in 30 or 33 CE 37- 40 years before the conclusion of that time period listed in Daniel IE BEFORE THE CONCLUSION OF DANIEL’S TIME PERIOD. Bar Kochba died 65 years after the destruction in 70 CE. So, Bar Kochba at least showed up WHILE DANIEL’s WORDS of a monarch coming to destroy the sanctuary were still fresh in people’s minds. Also, If we look at Zechariah 12, it says Jerusalem will be besieged, IE AT WAR! Bar Kochba fits that passage far more literally than Jesus ever could. Furthermore, Bar Kochba did many things that Jesus himself did not do which the prophets all said the messiah had to do. 1. He re-established a monarchy asserting Jewish sovereignty in Israel. 5. He also died a horrible death just like Jesus. So, if Jesus can fit prophecy and be given consideration (when he hasn’t actually ruled in Israel, or brought Jews to observance of Torah,) how can bar Kochba not also fit with just as much likelihood as Jesus? Maybe Bar Kochba will come back with the clouds of heaven and fulfil the rest of the prophecies? Probably has a better chance than Jesus at this point. At least Kochba didn’t make a false prophecy about a glorious ‘second coming’. Probably has a better chance than Jesus at this point. That was precisely the point of my comment Gene. Where do we draw the line? If Yeshua can be said to fulfill prophecy, so can Bar Kochba. (in all seriousness) The point is, its not clear cut even if you accept core Christian premises. Early Christians even testified in some sources that some viewed John the Baptist and not Jesus as the messiah. An inherent problem in believing the messiah comes from among the dead is that he could be one of any number of people. For Christians, CR, their “faith in Jesus” is far more important than any evidence. It’s far more important that any evidence to the contrary. Few committed believers can escape this, and most those of those who manage to slip away do so through disillusionment with Christianity or, if born in Christianity, through rebellion against Christian parents – that is not by examining the evidence. “Truth”, for Christians, is “revealed from above” first and foremost, not learned through any objective study of history or actual prophecies in context. Study, if any, is done after the fact, to confirm already held emotion-based beliefs. For many Christians, especially Evangelicals, the “experience of Jesus” is what separates him from any other candidate. Bar Kochba didn’t claim to forgive sins or atone for sinners, there’s no emotional attraction to his candidacy nor is there a damning threat for non-allegiance. Yes you are right. I feel like most Christians seek reassurance more than anything else. If only they could convert a Jew or anybody, then that would prove he is fine to worship a man. I always wonder if I was saved because, when I accepted Jesus I did not cry like the others. I did not feel like the HS felt on me. I don’t know if you knew Paul Washer. He always showed people crying over and over again, falling their face to the ground because of their sins and accepting Jesus. Like there was something not normal with me, because I did not “feel” Jesus. Now I understand, Jesus was sleeping! I know it was a comment you said in another blog, but I quoted you Gene this weekend… It did not go that well. Someone said to me that it was not ok to talk against other’s beliefs. (I don’t think I did but anyway) I only said “Elijah laughed at the Baal worshipper” …. Oups… that person did not want to talk to me after. I wonder why? Or, perhaps you were too normal, after all. I can fully relate to this – I never had the “emotional” experience. I even had “hands laid on me to receive the Holy Spirit” – but felt nothing and didn’t pretend to feel anything and to express myself the way I was probably expected. Others did, readily. I was too honest with myself and with G-d to pretend. I never cried when I became Christian, I just had a feeling of being “clean” after my baptism, and feeling like “G-d” was close by. I was young, but I remember that feeling to this day. When I started learning Christian teachings, I saw something powerful (in an ideal sense) regarding the notion of salvation not being by my own effort or merit. To me, that teaching was supposed to inspire humility, and I felt it inspired in me the spirit of live and let live. Based on how I understood J’s teachings, it wasn’t a way of ducking responsibility. As life went on though, I realized that other Christians didn’t view Jesus the way I did. Things that inspired me to embrace “live and let live,” or to “judge not,” or even to love selflessly, inspired other Christians to be rude and spiteful to different people. I was never taught to hate Jewish people. As far as I was taught, we only knew about Jesus because of Jews, and were “able to be saved” because Jews didn’t accept him. So, while I was a typical (non trinitarian) Christian, I never got much of the vitriol that others got regarding other views of life. “far more important than any evidence” Not to me it wasn’t. I’ve heard some people explain away the crying when accepting the most popular heretical mamzer in history and ‘spiritual’ experiences of Christians as ’emotional’. I think some of it is emotional, but I think some of it really is spiritual, and sometimes all of it is spiritual. Buddhists might attain really surreal spiritual highs or inexplicable feelings of euphoria during meditation, for example. It’s no problem for ‘the other side’ (bad spiritual forces) to cause this to happen. What you’ll see as a trend is that these experiences are available for the initiates in all of these false religions. In Judaism, in order to attain רוח הקדש, the lowest form of prophecy which is the highest attainable level today, you have to have the vessels to receive it, and that comes from years of spiritual refinement through carrying out the commandments of Torah and avoiding the ‘negative’ (do not do) commands, as well as refining the mind from foreign thoughts, and forging an actual connection to HaShem through ‘hitbodedut’ (secluded personal meditation and conversation with HaShem), which makes the daily prayers real and opens you up to a lot. In other words, the real spiritual experiences that are attained in Judaism, the only place to find the direct and pure connection to the Creator of the universe, comes with personal refinement. It won’t necessarily hit the initiate and be easily accessible to him, since he hasn’t yet purified himself. It only happens when for some reason HaShem will cause it to happen to him. The reason for this is that whenever a person’s thoughts, words, and actions are not refined and corrected according to Torah, he gives leeway to the negative spiritual forces. Albeit, the evil inclination is part of a person’s very soul, it is possible to really crush it out entirely and remove it as much as humanly possible. The focus in Judaism isn’t gaining these experiences, though, the main purpose is serving HaShem – spiritual experience or not. That being said, it should be a goal for a person to seek to attain levels in spirituality simply to be close to HaShem which is actually the very goal of serving HaShem, to return our souls (which is who we really are) to HaShem, as spotless as possible. Being spiritually high or being very righteous won’t always accompany spiritual experiences, that’s the difference. quick question… If someone would ask you “Was Judas right to betray Jesus?” What would you answer… I would be tempted to say yes. Because Jesus was a false prophet after all. Your thoughts? I would argue no for a simple reason. Jesus was more effective crucified than alive. I see where you coming CR, but Judas would not have known that. If Jesus forgave sins and accepted worship as god, would he have been right to betray Jesus to the high priest. I still think he would not be wrong as per Deut 13. Remi, can I have your email address? If so, send me an email at aaron7ocelot at gmail. Remi… reminds me of the post I’ve written some time ago: Christian commentary: G-d free to misquote Old Testament in the New because He owns the copyright! Looks like you scared Derek Leman off of that post last year, Gene, lol. I don’t see him commenting on your new posts either. Derek Leman no longer has much of a web activity. Was he really a Rabbi? How could he have fallen for idolatry after studying the Hebrew Bible for so long! I should not underestimate the powers of the DARK Idolatrous side! No, he wasn’t. He is not even Jewish. He was a Baptist pastor and missionary to Jews who later got involved in the Messianic Movement. He then started his own congregation and began to call himself “rabbi”. Then, years down the road, “rabbi Derek” “converted to Messianic Judaism” with help of some UMJC people and became a “Messianic Jew”. Seriously, that makes more sense! Anybody would have evidences that it was all fabricated! It must, all the testimonies are awful and no Jewish rabbi would have fall for such a lie! Someone asked me to read it, and I just can’t believe anybody would have fall. There are 20 testimony are all look quite a non-sense. Jewish rabbi falling for the virgin birth and Isaiah 53! Anybody would have evidences that it was all fabricated! It must, all the testimonies are awful and no Jewish rabbi would have fall for such a lie! Someone asked me to read it, and I just can’t believe anybody would have fall for such a lie. There are 20 testimony and all look quite impossible. For example Jewish rabbis falling for the virgin birth and Isaiah 53! Glad to hear Derek hasn’t much of a web life. I remember when my good ol’ brother Judah had a falling out with him along with the folks (or idolaters) at FFOZ. Remi, as for that book. The font is freaking terrible, hahaha. That’s so typical of what so many Hebrew Roots and Messianic people try to do: over Judaize everything, thinking it will make Jews super comfortable. Only they end up coming across as extremely goofy… haha..
A hanukiah with 7 candlesticks or a menorah with a shamash, how could a Jews put a true testimony in such a book? Wot? Images not showing up… can’t use html here? Oh well. They probably cleaned out the local Judaica store. Aaron, did you brother Judah repented or is he still a messianic? He’s long gone, for now. Along with the rest of my family. I keep in touch with them all, but they’ve been avoiding any theological discussion like the plague for the last few years. They don’t have much of an ability to argue without getting personal or taking it personally.